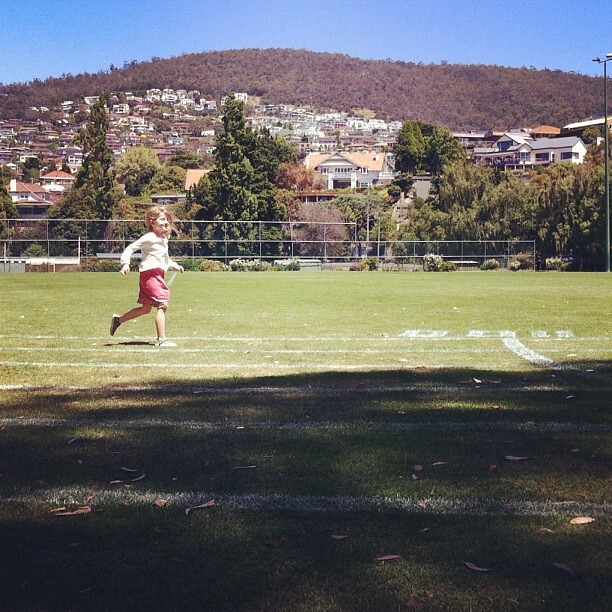 We've been visiting our local Little Athletics track when it's deserted. We flump down under a shady tree with some cool drinks and then we run. Huz has a go first, exerting his uber-competitive streak and trying to get closer to the world record each time. He actually knows what it is just off the top of his head. Who has headspace for such things? Him. Of course, the next day he'll be sore all over... Then Big Owlet has a go. She's getting better at the competitive stuff, but you can't beat her by too much. She's not too into being timed yet either, but she's slowly grasping the concept. And then there's Little Owlet. She runs for fun. She's fast and steady and finishes without feeling puffed. She just likes running all the way around the track and she's built for endurance. She especially loves running all together as a group. But no-one can win and you most certainly may not time her! It's an interesting lesson in competition, team work, time, distance, fitness, endurance and so many more things for all of them. And it's fun and free. Tiny tries with all her might to catch up to them. She grabs onto the bigger owlets dresses at home and runs along behind. 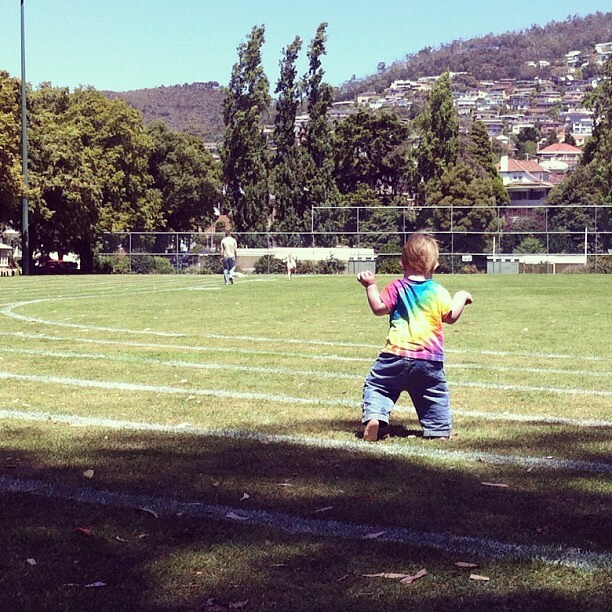 When we're at the track, she toddles out across the oval, trying to catch up. They sweep her up on the home stretch and she giggles all the way back to mama's arms.